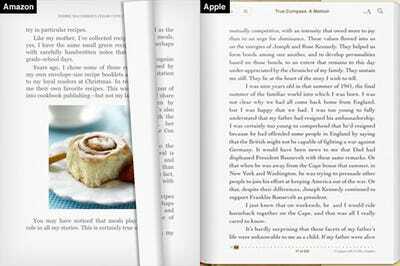 Amazon showed off some previews of its Kindle e-book app for Apple’s iPad. Amazon won’t have an iPad app ready for iPad launch day (April 3), but we imagine it won’t take more than a few weeks after the iPad goes on sale to get it ready. The goal for Amazon is to continue to extend its Kindle platform on as many devices as possible, which could give it a leg up against Apple’s e-book store. 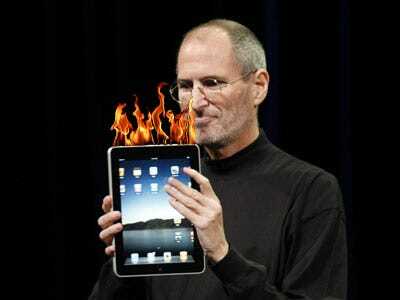 It’s already available on the iPhone, iPod touch, PC, and Mac, plus, of course, the Kindle and Kindle DX e-readers. 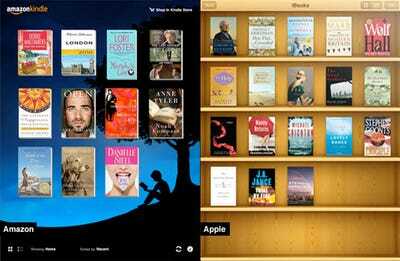 So far, it looks like Apple is winning the design contest, especially for its e-book store. But if Amazon can continue to keep its e-books cheaper than the competition, that — plus its broader platform — could help retain market share. What does the Kindle iPad app look like so far? 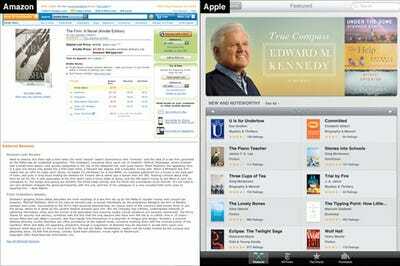 Here's where Apple has an advantage: Its iBookstore (right) looks much nicer than Amazon's Kindle Web store (left), and it's built into the iBooks app. Kindle users will be booted into a Web browser to make their purchases because of Apple's e-commerce policies for virtual goods.